I feel like I’ve seen the FabFitFun boxes all over social media, but I’ve never gotten one. In fact, I’ve never dipped my toes in the waters of beauty subscription boxes . . . which is funny considering how much I love subscription boxes for clothing. I was pretty excited to try it out, because I really enjoy trying new products, especially for my face and hair. 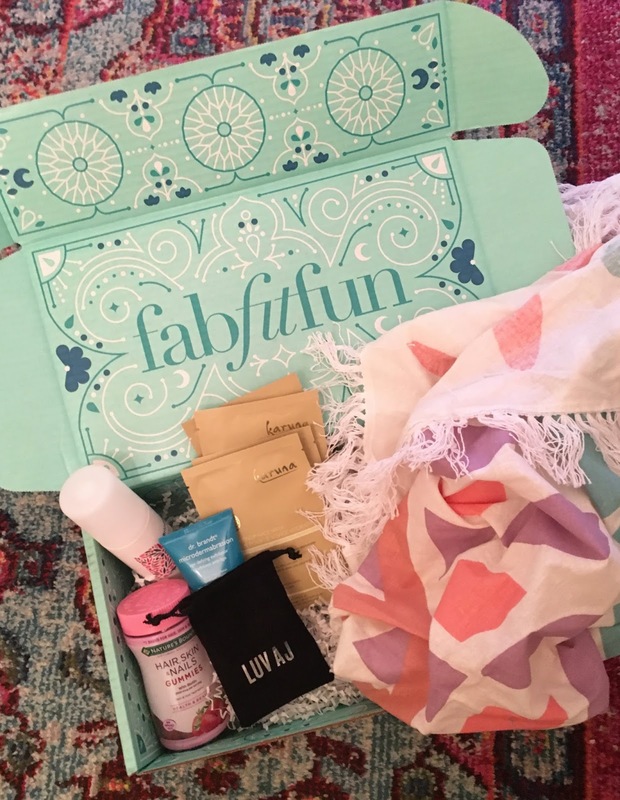 FabFitFun is a subscription box of full-size beauty, fitness and lifestyle products. Their boxes are valued at over $200 but retail for only $49.99, and it’s a great way to try new products.The box comes out once each season. Gypsy 05 Roundie is a big, versatile throw that you can use in a million ways…as a beach or picnic blanket or even a tapestry or a table cloth. Dr. Brandt Microdermabrasion Skin Exfoliant is a high-end skin exfoliator and this product alone is worth more than what you pay for the box. Briogeo Milk Reparative Leave-In Conditioning Spray protects your hair from heat and UV rays, and it’s paraben-free and sulfate-free. It smells amazing too. 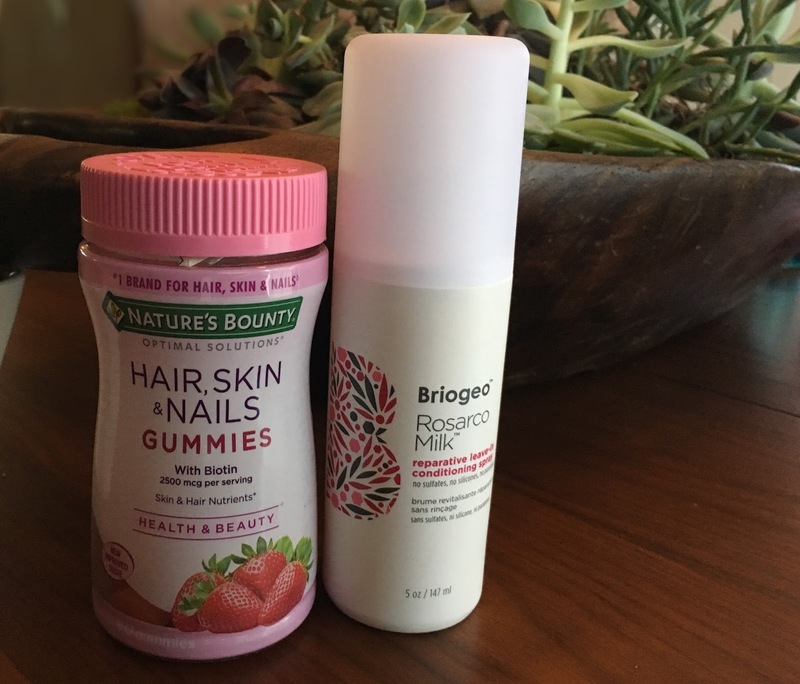 Nature’s Bounty Hair, Skin & Nails Gummies are tasting, strawberry-flavored gummies packed with Bioton to strengthen your hair and skin cells. Milly Zip Pouch can be used as a travel makeup bag, or you can put your wet swimsuit in it. It’s huge! Deborah Lippmann Nail Polish Set in pastel colors perfect for spring. 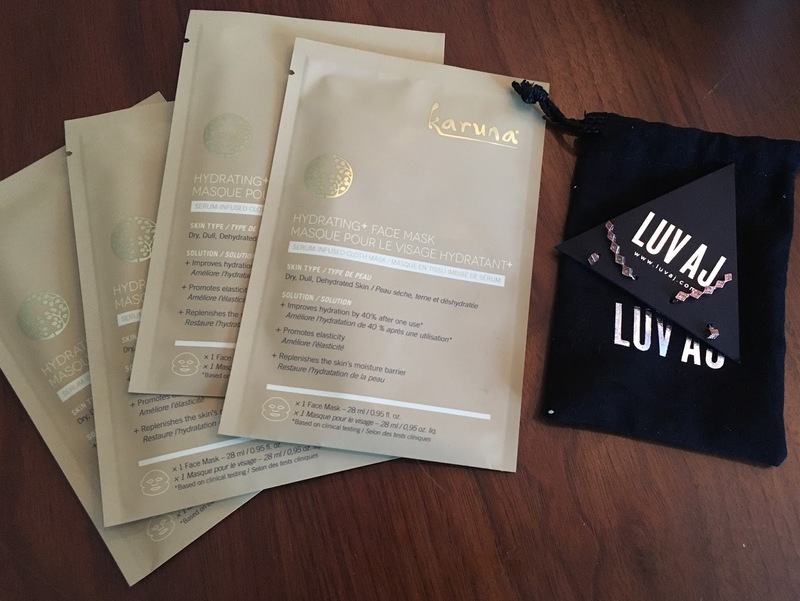 Karuna Hydrating Face Mask is a paraben-free mask to make your complexion look more refreshed. Luv AJ Crawler Earring Set are a set of modern earrings in rose-gold. If you want to try a box of spring goodies, you can use the code MINIVAN for $10 off your box at this link. Thanks for your article. Every woman wants to look good and please other people . As a result of the demand, the beauty industry has undergone fast development. You can exchange hairdressing, cosmetics, cosmetology, aesthetic medicine, aesthetic dentistry and plastic surgery here. Each of these branches deals with other treatments and above all effects. When we deciding to interfere with our body, we need to think about what we want to correct, why and what kind of effects we expect. An important aspect is the review of clinics and salons. Nowadays it is difficult for people with the right experience to perform treatments at low prices. However, it is better to invest more with the certainty that we will leave the place satisfied and confident. The article has really peaks my interest. I am going to bookmark your site and keep checking for new information. I’m certain there are many more pleasant moments ahead for individuals who go through your blog post.